Some retailers have their own policies and restrictions. Before shopping, please ensure you review the Special Terms of Oroton (above) for further information. 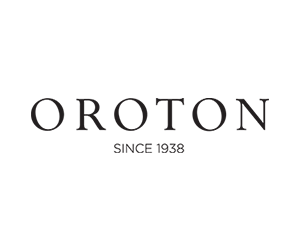 Complete your purchase in one session and without leaving Oroton. Do not click on any bookmarks or advertising banners or links once you leave ANZ Bonus Points Mall. Restrictions: Excludes bags, across women’s and men’s. For standard delivery within Australia we use our courier service. For international deliveries we use DHL. All orders are dispatched after two business days except during an Outlet sale or a sale period. Australian Delivery Charges Standard - $14.95 (allow 5-7 business days)International Delivery Charges New Zealand - $19.95 (allow 5 business days) Rest of the World - $19.95 (allow 5 business days). We accept Visa, Mastercard, American Express & Diners Club and PayPal. From the date you receive your items (date your delivery was signed for) you have a 14 day return/exchange period for change of mind. For items purchased on sale, we do not offer refunds. Our online store accepts returns for a refund (full price items only), or exchange for a different size or colour (full price items only for Oroton Intimates (Lingerie) and underwear). Our online store does not offer exchanges for leather goods, belts, accessories, jewellery, beauty, sunglasses or product care.